To provide more flexibility in charging mobile systems, designers are creating methods such as wireless and solar charging, but their challenges don’t end there; they must also be concerned about environmental and safety issues related to charging. Wireless and solar charging are excellent topics, but we will narrow the focus to environmental and safety concerns caused by charging mobile devices. Fortunately, those issues can be addressed with a range of innovative ICs that provide connection, protection, and detection. Protection not only applies to protection of the system but extends to environmental protection by reducing electronic waste. For example, when a cellphone user gets a new phone and disposes of an old one, the charger normally goes to the dump with it. In fact, nearly a billion phones and their attendant chargers are being discarded each year, thus populating landfills. If chargers could be transferred from one phone to the next (i.e., be universal), a more environmentally friendly situation would arise to reduce this wasteful practice. 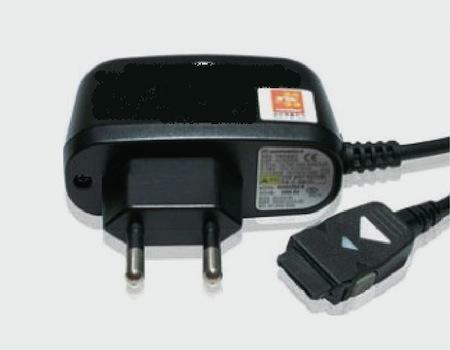 A Korean 20-pin TTA charger. Fortunately, that is exactly what is starting to happen across the globe. The European Commission has proposed a memorandum of understanding to harmonize chargers, which is driving phone manufacturers to use micro-USB connections on chargers for data-enabled smartphones (the fastest-growing tier). Chargers can therefore be used from phone to phone and generation to generation. In the US, to promote a greener world, major cellphone suppliers are joining with cellphone chipset producers, service providers, and two US wireless trade associations — the GSMA and CTIA — to push the Universal Charging Solution (UCS) initiative. The Telecommunications Technology Association (TTA) of Korea has recognized the advantages of reusable charging solutions for some time and has approved a universal 20-pin connector for chargers and earphones to address slimmer phone profiles than the former 24-pin connector could (see photo above). Regarding safety concerns, China has taken a universal approach that also uses the USB port. Safety concerns have grown because the notion of cellphone batteries exploding is unnerving to say the least. High-profile reports of injuries in China have prompted the Chinese Ministry of Information Industry to issue its Technical Requirements and Test Method of Charger and Interface for Mobile Telecommunication Terminal Equipment to promote charging safety. A key element of the Chinese and other safety standards relates to protection from overvoltage conditions, which, as the name implies, is when the voltage used to recharge a battery is higher than a specified safe level for that particular battery. Overvoltage can damage a battery even to the point of catching fire, so overvoltage protection (OVP) integrated circuits are designed to ameliorate such concerns. OVP ICs monitor the voltage and isolate the phone from the charging source if the voltage gets too high. Typical OVP ICs contain internal MOSFETs or control one or more external MOSFETs to switch off the offending charging source. They are a simple, cheap, and effective way to enhance safety. Because space is always at a premium in a cellphone, a compact package is necessary, and being battery-powered, a low power drain is mandatory. The Korean application, as an example, requires the protection IC to be in-circuit at all times and protect the handset against ±20V. Also, the device must be bidirectional, passing the battery voltage back to the device for USB On-the-Go (OTG) detection. To comply with Korean standards, triggering should be set at a battery voltage of 4.35 with ±1 percent tolerance. Other places have slightly different requirements, so there should be constant attention to the particulars.